Even the stars have not given up the tendency of Christmas sweaters, putting aside their glamorous side to get into the mood of the holidays. With the arrival of Christmas back the gruesome fashion of Christmas sweaters, which are a must-have during the holidays. It is not clear the name of the proponent of this style kitsch that now rages between celebrities and non. Some people date back to Bridget Jones, of which we remember the famous (how embarrassing) sweater with reindeer, and some even go back to the eighties with Bill Cosby of “The Cosby Show” sweaters that Christmas had a real collection. In recent years, brands such as H & M, Primark, Topshop, Oysho and Pull and Bear have adapted to this new fashion hot and overwhelming, offering a wide selection of sweaters, pullovers and cardigans Christmas going crazy among young people. Even the brand H & M launched a new advertising campaign Christmas with singer Katy Perry while wearing their clothes with Christmas theme. Even the stars have not given up on this trend, putting aside their glamorous side to get in full Christmas spirit. 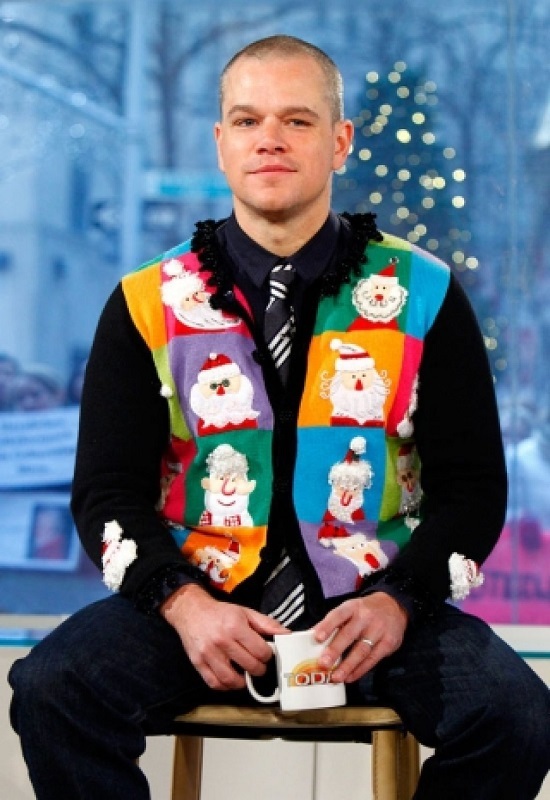 The director Sofia Coppola wore a Christmas sweater printed with the face of Bill Murray in the role of Santa Claus, is the same sweater he was also chosen reverential Miley Cyrus, while Matt Damon -consider to one of the sexiest men on earth-opted for a patchwork vest not just fashionable. 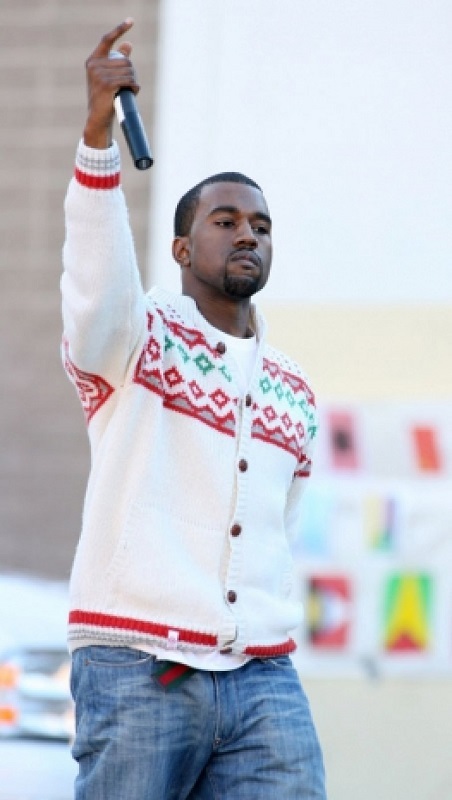 Even Kanye West joined the full mood of Christmas by replacing its inevitable maxi t-shirt with a white cardigan and red. Taylor Swift, always classic and sober in her choices of style, was paparazzi with a blue knit sweater with white patterns, definitely less flashy than those of her colleagues and other VIPs.